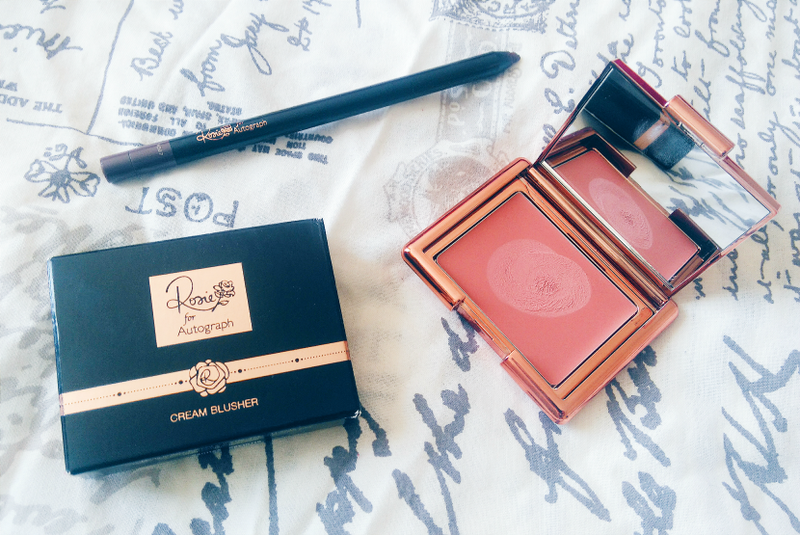 I wasn’t sure whether I was even going to be able to buy anything from Rosie For Autograph, the make-up line Rosie Huntington-Whiteley has done in collaboration with Marks and Spencer, so I was absolutely ecstatic when I found out that the range was cruelty-free, vegan, and approved by the Leaping Bunny. So many celebrity brands or endorsements are for companies that test on animals so it’s lovely to know Rosie cares — not every cruelty-free brand is Leaping Bunny approved, after all, so it shows some thought has gone into it. Big love to you, Rosie Huntington-Whiteley♥. I’m sure I wasn’t the only one who started swooning when they first saw the range. Everything looks beautiful (that rose gold!) and I struggled to decide what I wanted to get my hands on. In the end I kept it simple, and went for the Gel Eyeliner in I’m a Fox Star, and the Cream Blush in English Rose Flush. As you can see, I couldn’t resist trying them both out before photographing them, and I’m not sorry in the slightest. I rarely buy eyeliner pencils but a swatch of this encouraged me to try it, and I’m glad I did, since it glides on with ease. Best of all, it stays put — even on the dreaded waterline. I’m a Fox Star is a little more red-toned than I would normally go for but I actually quite like it; it’s a nice alternative to black but still quite classic looking. 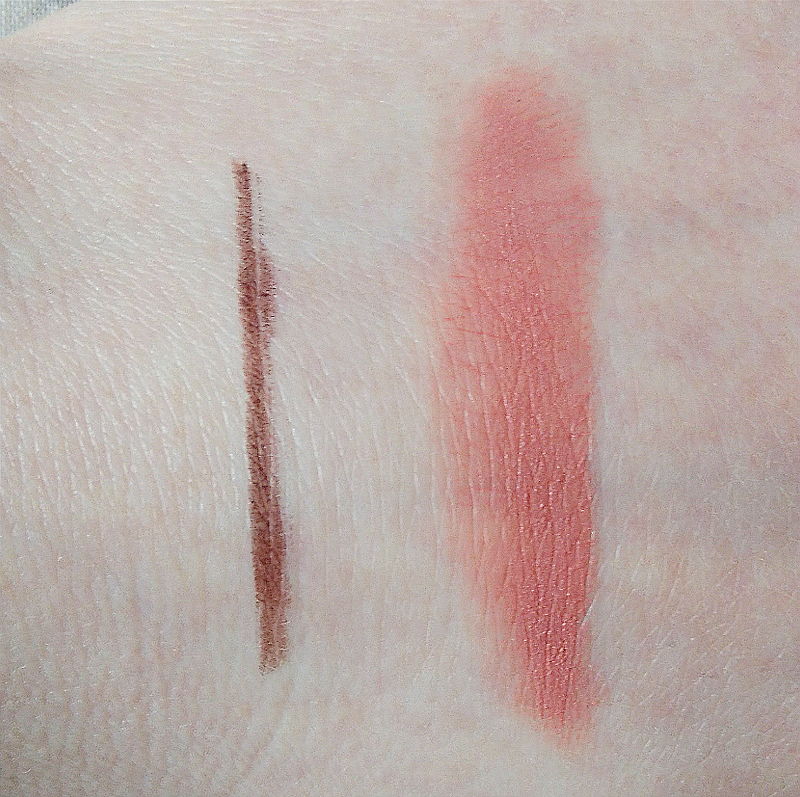 I’ve been wearing it smudged all around my eyes (it a subtle way, I hasten to add, not panda eyes style) but it also looks really pretty on the waterline if you’re wearing eyeshadow. I daresay I’ll be buying another shade soon! I’ll admit, I got a bit carried away the first time I used this and ended up looking like an absolute clown; this blush is very pigmented. Fortunately it blends into skin with minimal fuss, and a sweep of face powder soon sorted my mistake. English Rose Flush is such a stunning shade — not a statement or anything but just so, so pretty. I’ve been reaching for it nearly every day because it goes with anything and lasts for hours on the skin. 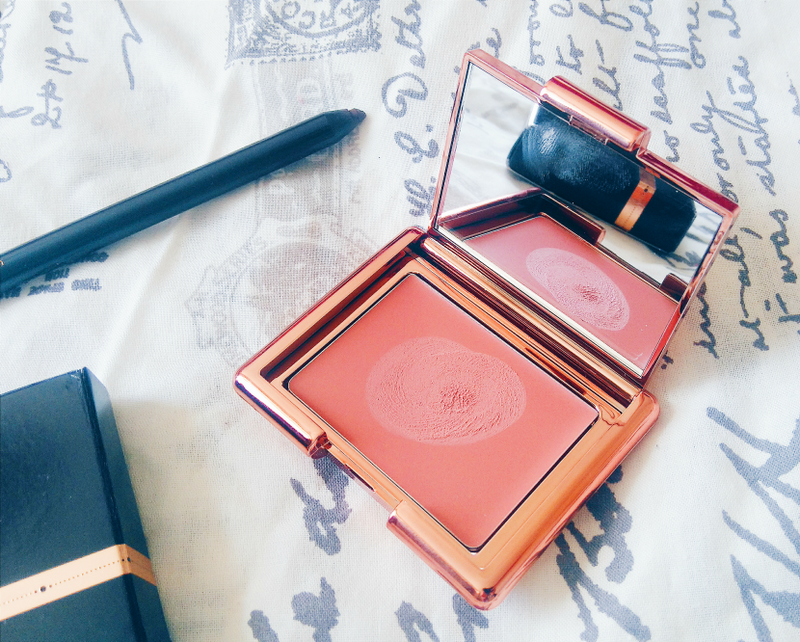 In fact, this may be the best blush I’ve ever used. Have you bought anything from Rosie For Autograph? What should I try next? Let me know in the comments!